CSK won the match by 6 wickets. It was MS Dhoni, yet again finishing the match for CSK in the 35th game of the 11th season of IPL. He scored an unbeaten 31 as CSK chased down the target of 128 within 18 overs. 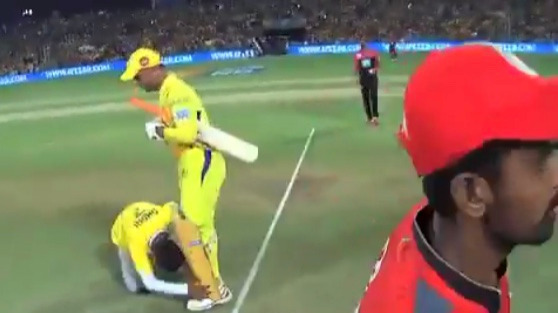 RCB were restricted to 127/9 off their 20 overs after Ravindra Jadeja (3/22) and Harbhajan Singh (2/22) shared the spoils for Chennai on a hot afternoon. 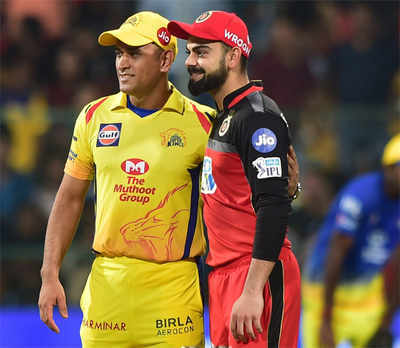 With a modest total to defend against the most powerful batting line-up in the tournament, Kohli knew it was a losing battle for Bangalore, but felt his bowlers did enough to push the game to 18 overs - however, another blistering knock by Dhoni (31 not out off 23 balls) ensured CSK sailed to their seventh win from 10 matches. In the post-match interview, Kohli highlighted the reasons for their poor performance in this season. Plus, he spoke about MS Dhoni's good form in the IPL as well. Dhoni has been in the best IPL form of his career, scoring 360 runs so far and is third in the list of the highest scorers this season. He has blasted 27 sixes from 10 matches, more than any other man in this edition of the IPL. Speaking about MS Dhoni, Kohli said at the post-match presentation ceremony, "Everyone loves to see MSD striking the ball. It is phenomenal the way he is doing it. The bigger picture is that it is good for Indian cricket. His form is a great sign for Indian cricket." Kohli said more on the game "Not the ideal day for us: losing so many wickets. But that's how this game goes. We gave a really good effort in the second half. It did play slow in the first half but it played slow throughout, which was surprising. Had we taken our chances, we could have made it harder for them." "The boys showed good fight but we lost too many wickets. We would have liked to win but Dhoni played well and they deserved to win," Kohli said. RCB have to now win all of their remaining five matches to stand any chance of qualifying for the playoffs but Kohli is optimistic of a serious fight from his men. "We know it's a tough road ahead. We need to win probably four out of five matches. These situations bring the best out of us, and I feel positive about the rest of the games," concluded Kohli.